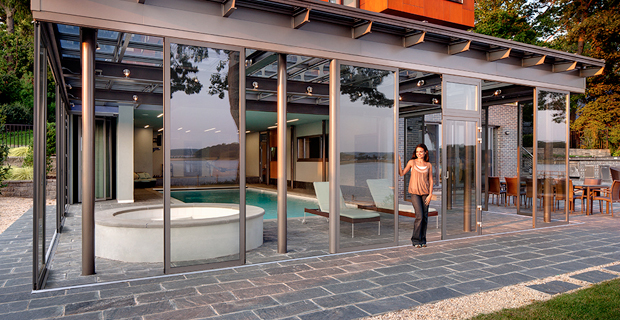 Take control of the weather year round by adding a NanaWall operable glass wall to a cabana façade or pool house. The operable panels maximize enjoyment on any day and in any weather by enabling the occupant control over outside exposure. The cornerless operable glass wall wood system for the space is expansive, bringing the passive ventilation inside this architectural masterpiece. 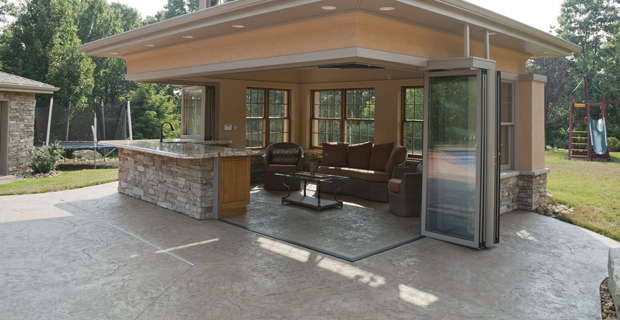 For this 85 foot, three-sided opening, the HSW60 Single Track Sliding Systems was able to provide a high performing, year ‘round solution for this pool/patio that stored completed out of sight when opened. With help of the SL73 Aluminum Framed Thermally Broken Hurricane Approved Folding System, this Palm Beach cabana offers homeowners a superb indoor/outdoor entertainment space. The NanaWall HSW60 window/wall combination was the perfect solution for this cornerless application in a pool house in Pennsylvania where there was a desire to create a year round entertaining space. 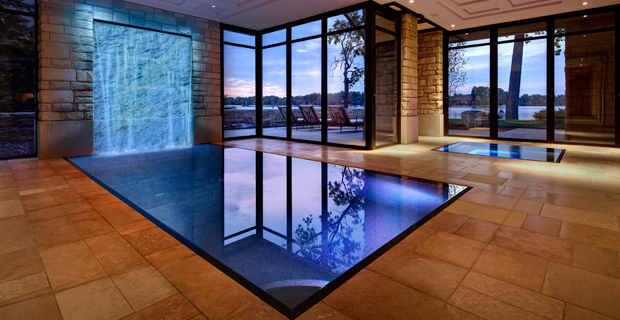 To create an indoor pool that opens up to the outdoors during warmer months, the architect on this Michigan project choose NanaWall systems for the many design, finish and stacking options as well as the excellent system performance.